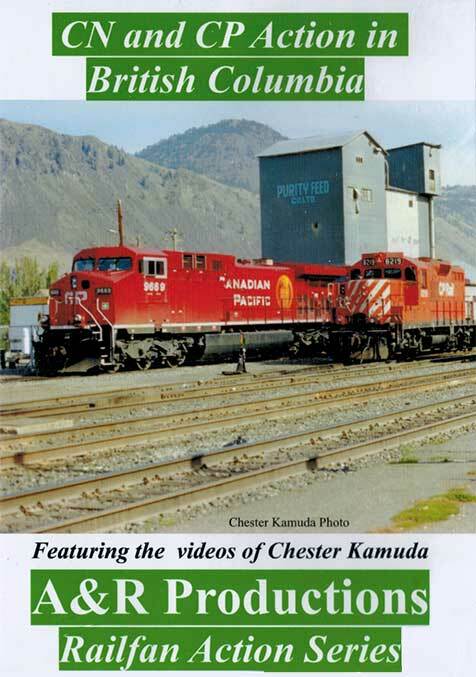 Chester Kamuda visited British Columbia and video taped the Canadian National and Canadian Pacific from Kamloops the Vancouver. There is action in Kamloops yards and along Kamloops Lake and the Thompson and Fraser Rivers at locations such as Boston Bar, Savona and the famous twin bridges at Cisco and more. Witness shiney new GMD and General Electric power as they struggle through fantastic scenery. One hour and twenty eight minutes, narration.